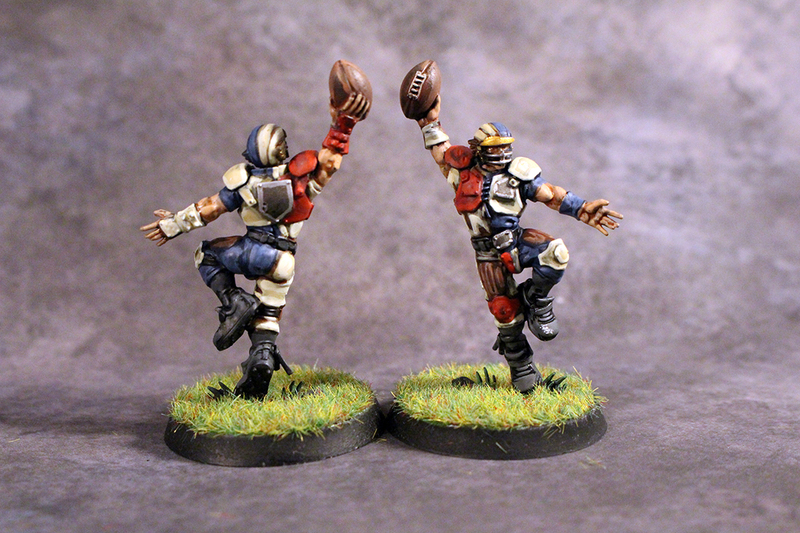 Posted by Jason Bergunder in Army building, Blood Bowl, board game, Empire, Games Workshop, Painting, StaticGrass Creations, warhammer. 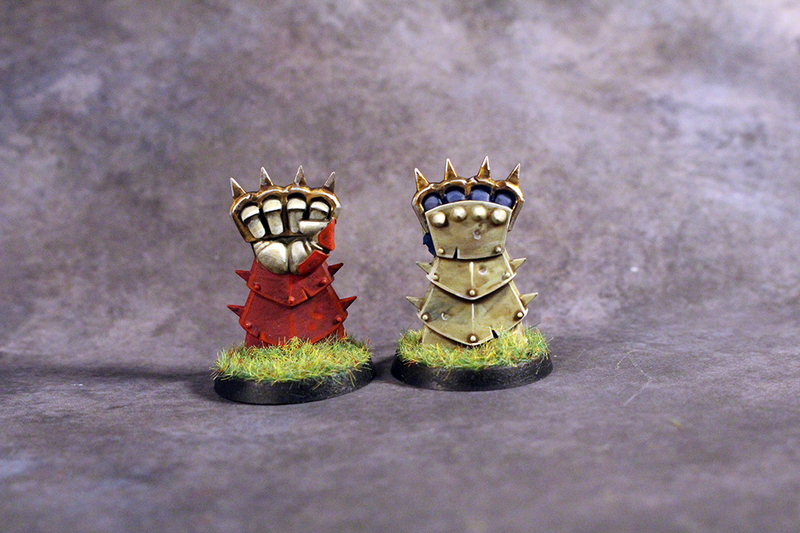 My own creation for Games Workshop’s Blood Bowl game. 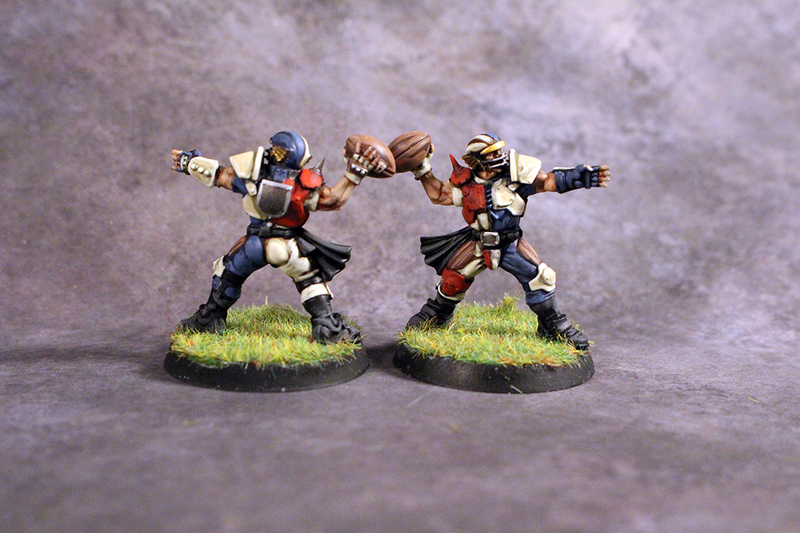 The Human team, Middenheim Maulers. 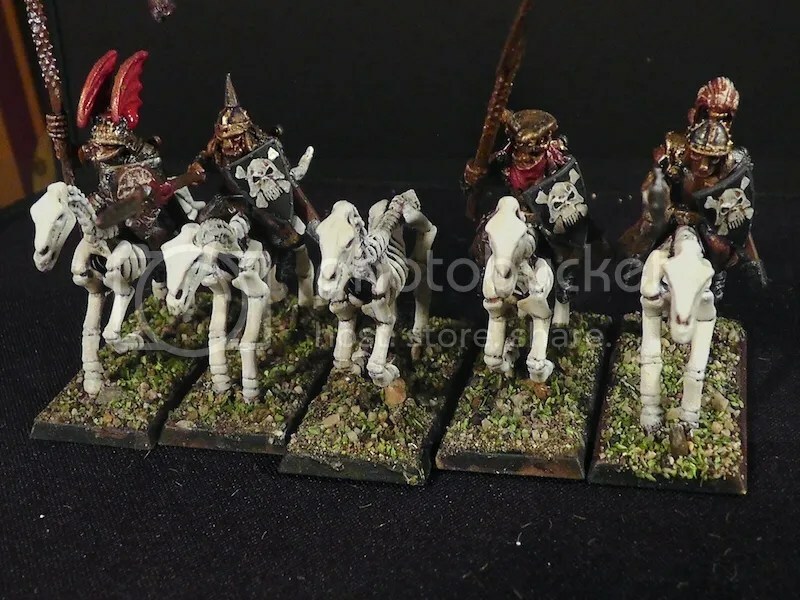 I have an Empire Middenland army, so naturally I’ll have a Middenland team. 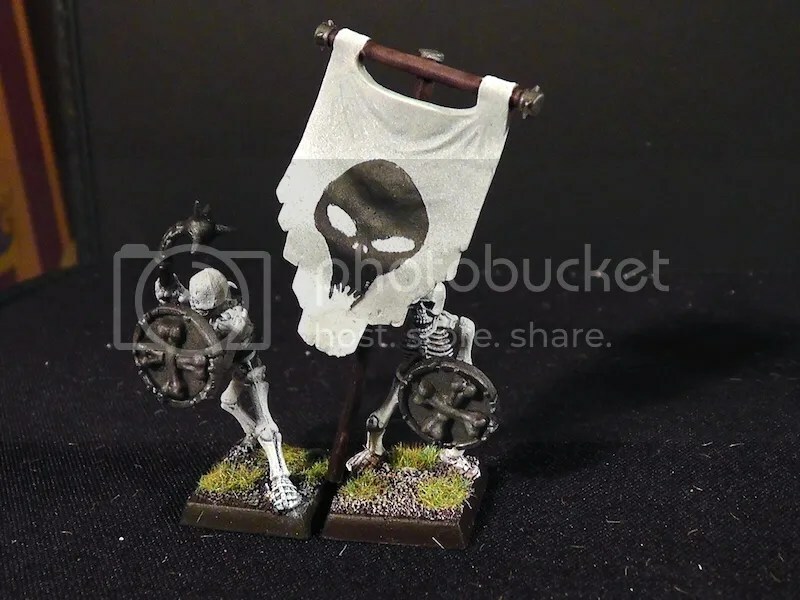 I didn’t like the scheme GW put out for Middenland, so I changed it to fit it to my liking. 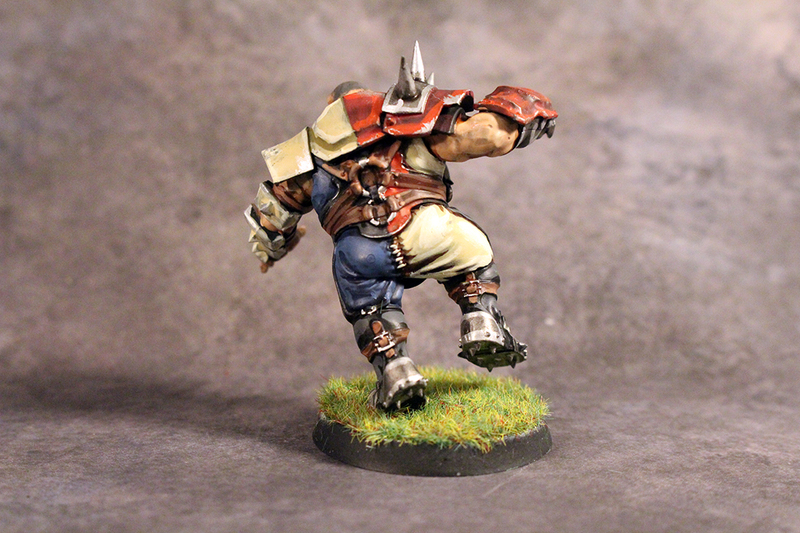 My buddy that got the starter, gave me a few players to fill out my team and I added the Ogre. 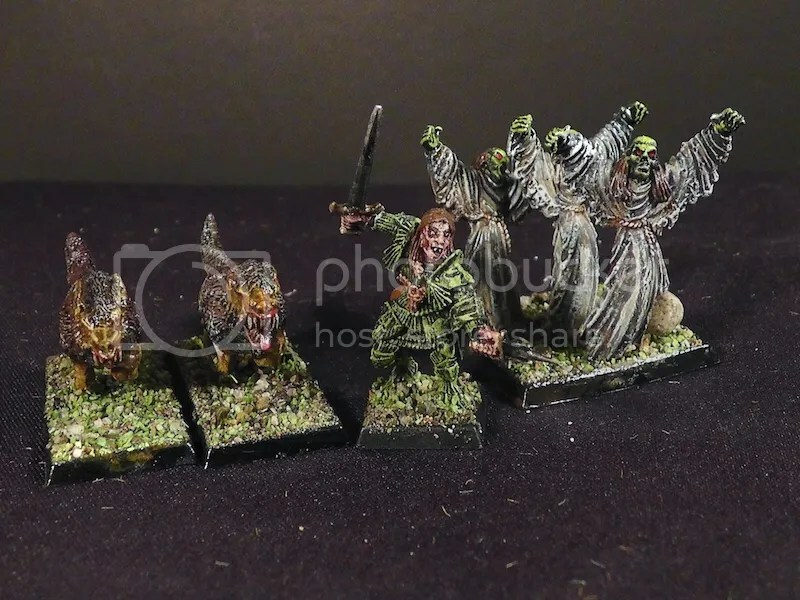 Not sure if I will get the star players that are coming out, but they do look fun to paint. I think I will add decals sometime in the future, but the future is not today lol. 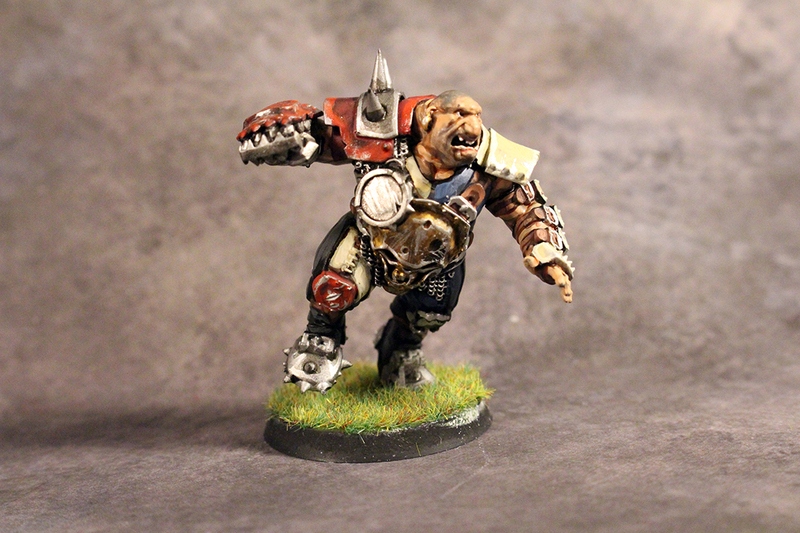 Posted by Jason Bergunder in Age of Sigmar, Army building, orcs, Painting, StaticGrass Creations, warhammer. 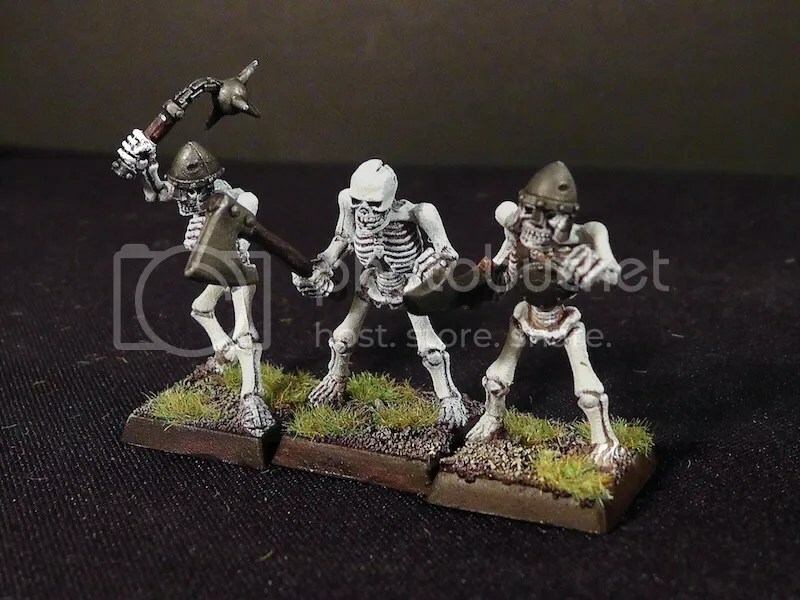 Getting going on the Goblins part of the commission. 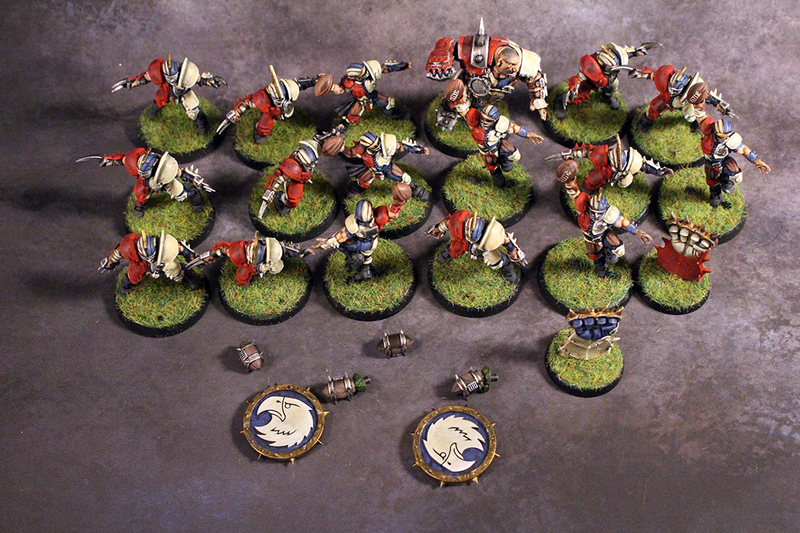 Finished the archers and swordsmen. 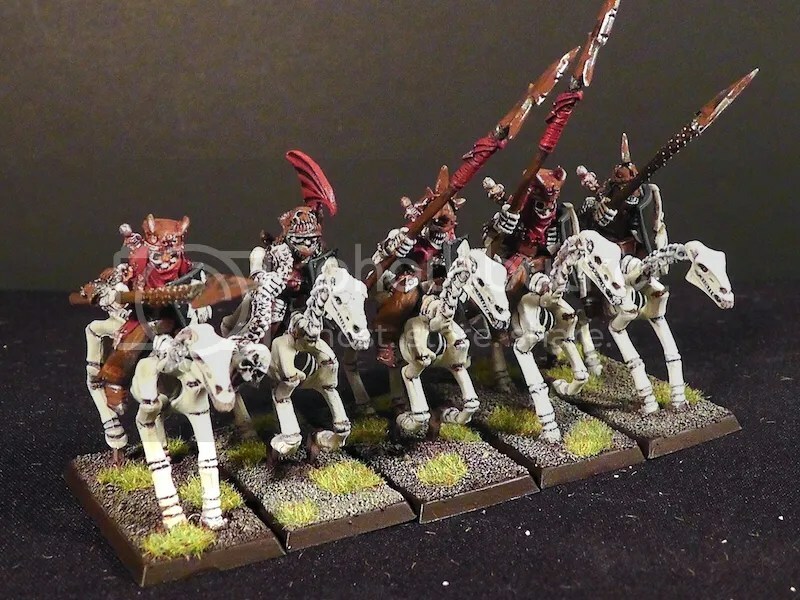 Posted by Jason Bergunder in Army building, Painting, StaticGrass Creations, Vampire Counts. 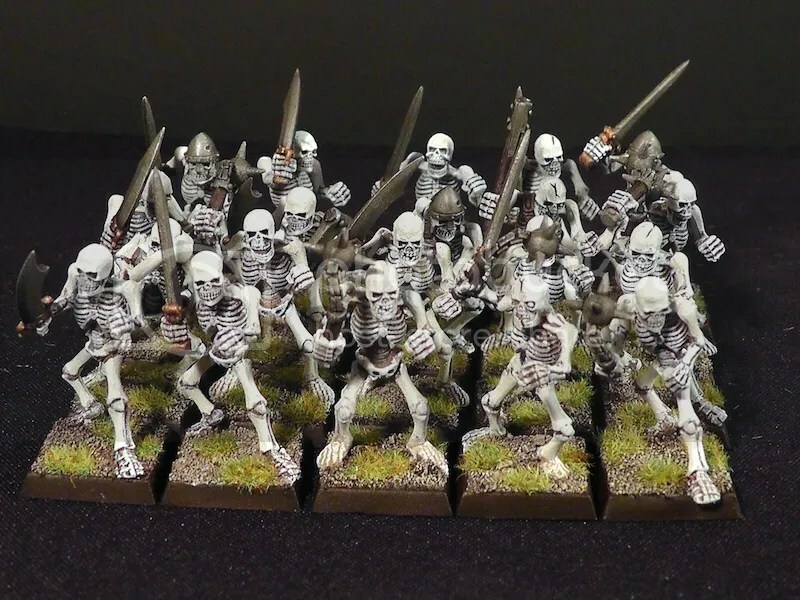 Finally re-setup the box and got some nice pictures. 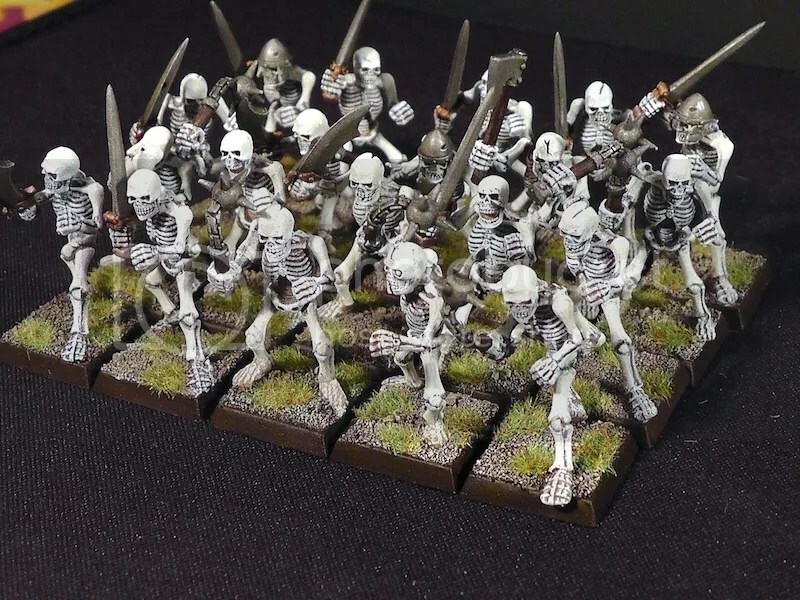 Posted by Jason Bergunder in Army building, Painting, Vampire Counts. 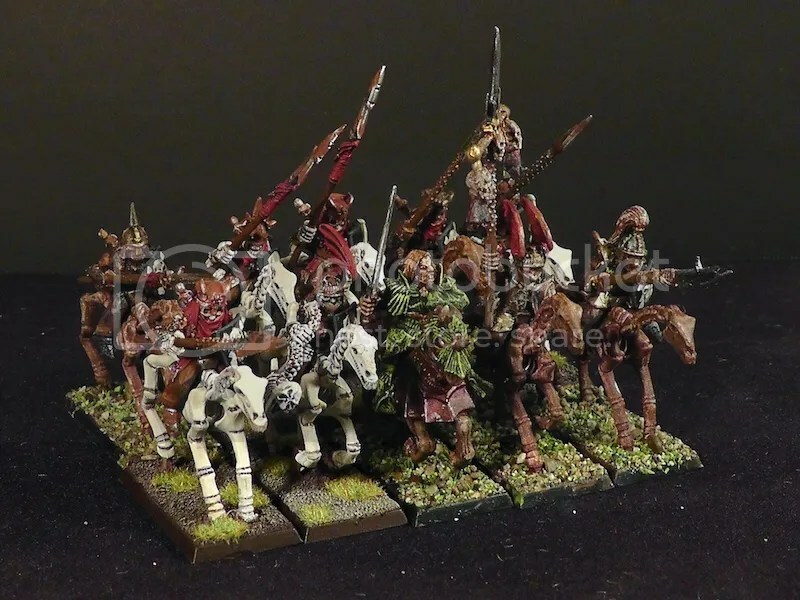 I was asked to do a few more pieces in the army, particularly some of the reference models. 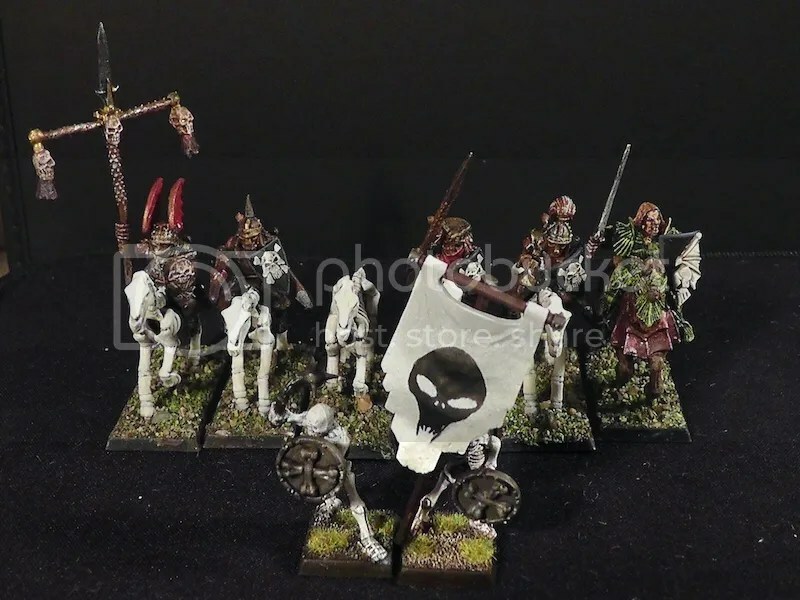 The Black Knight steeds were to be updated with the clean bone, the mounted vampire was to be given a shield, the reference skeleton was to be updated, and the skeleton standard bearer was to have a simple freehand on the banner. 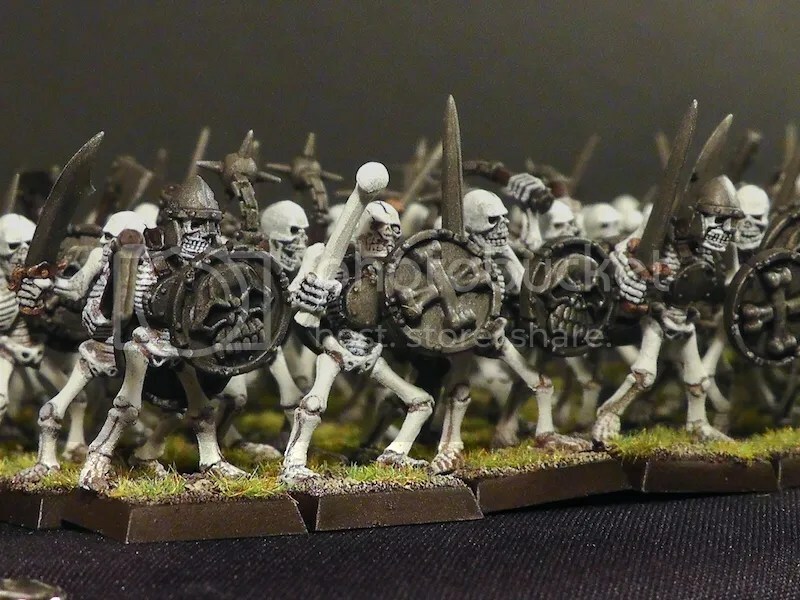 They all now tie very nicely together with the rest of the army. 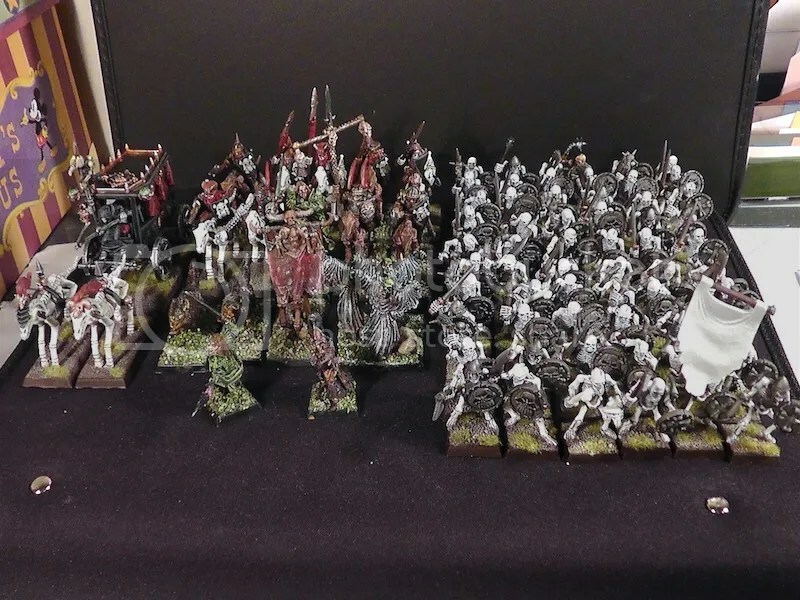 I have finished the Vampire Counts commission. 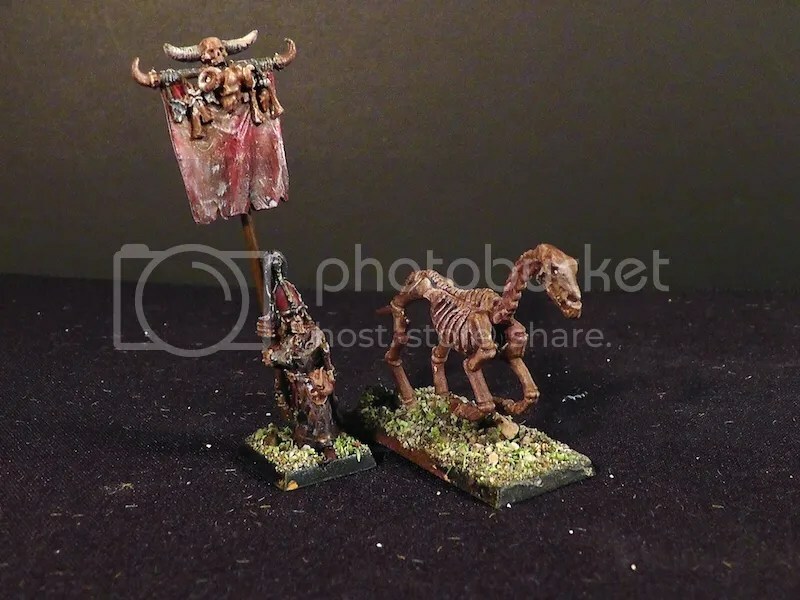 Black Coach, Skeletons, Black Knights, fixing a few models, and replacing a flag pole with a brass rod. 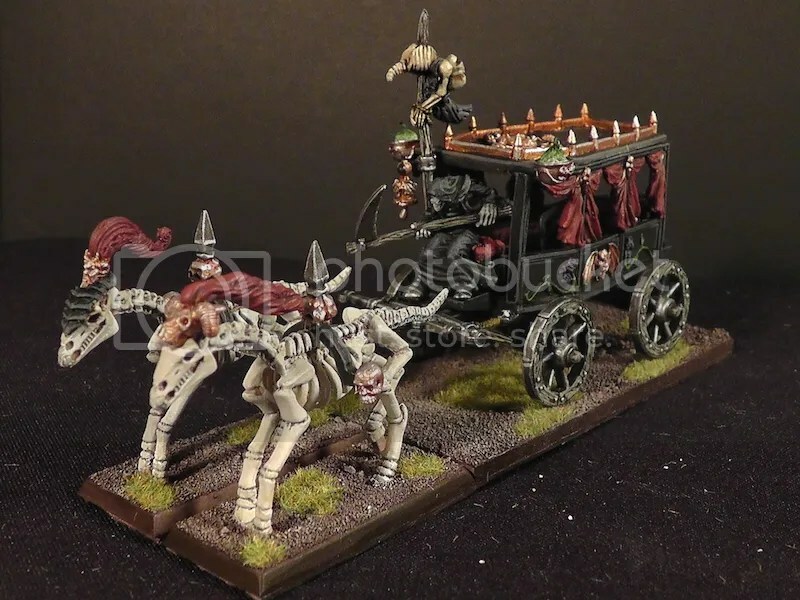 I found the Black Coach to be a very interesting piece to paint. 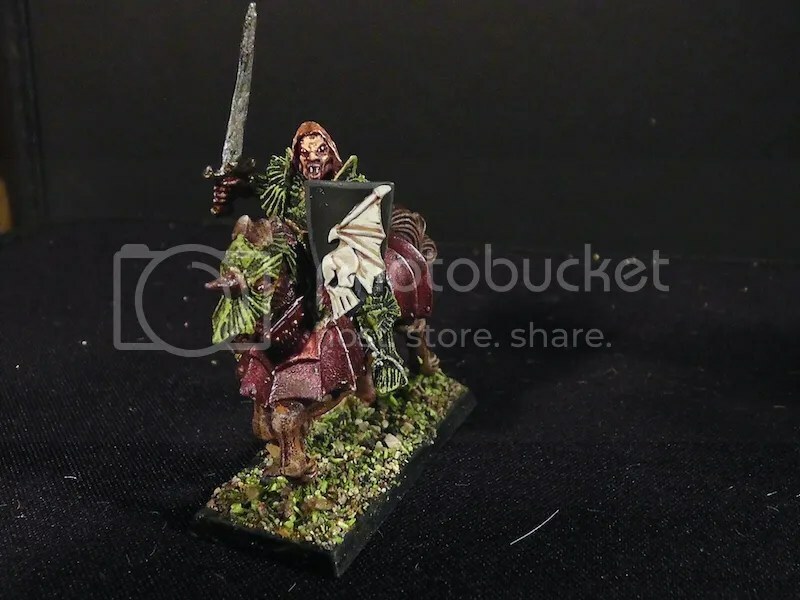 I was surprised that the amount of detail that was put into it, and it is a metal model. 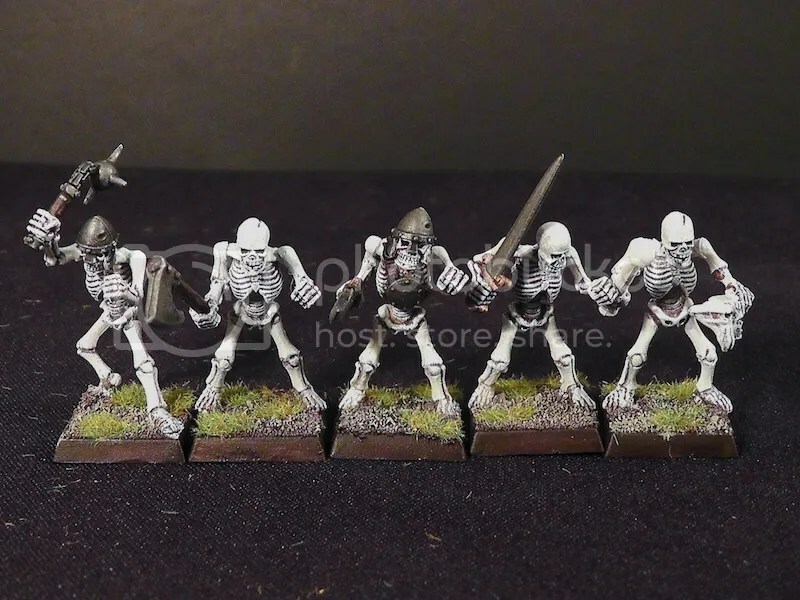 The skeletons rank up fairly well. 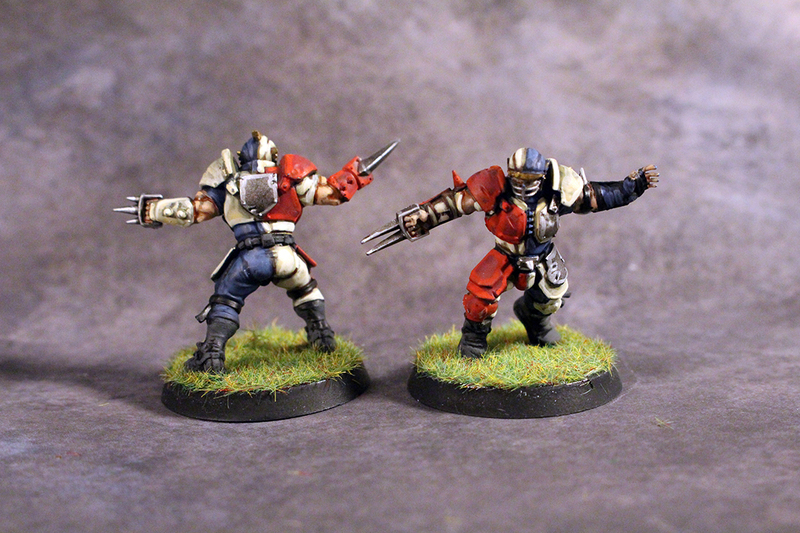 There are a few outliers that are slightly harder to make conform, most configurations seem to fit nicely though. I just love it. 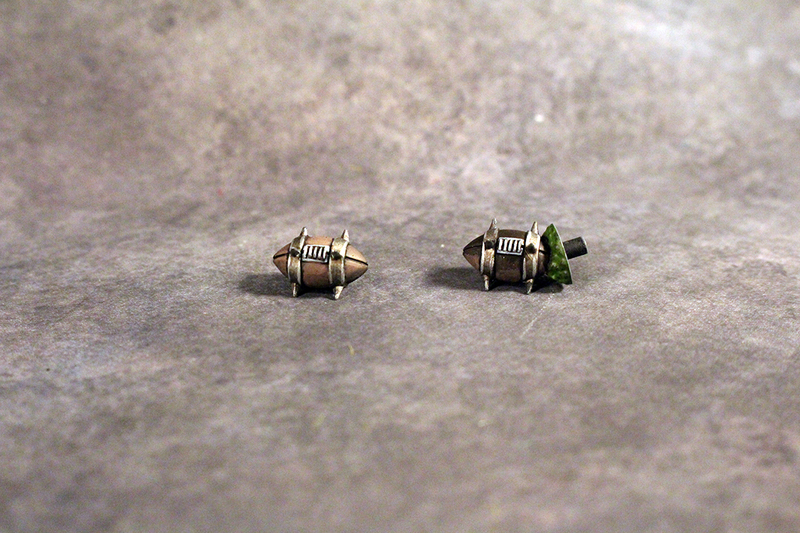 Assembly line painting and detailed work, both make my jolly counters go up. 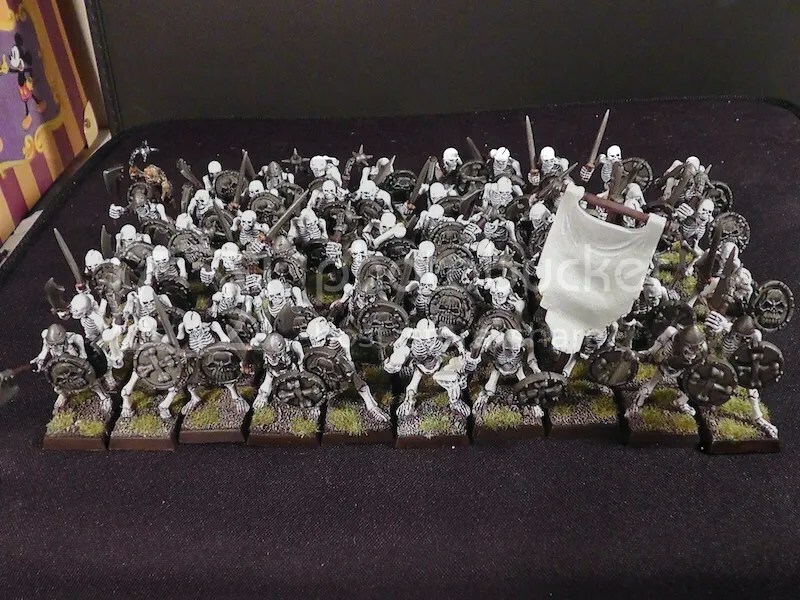 I love seeing a nice big block of models come together and I love making a single model a labour of love. Cheers! 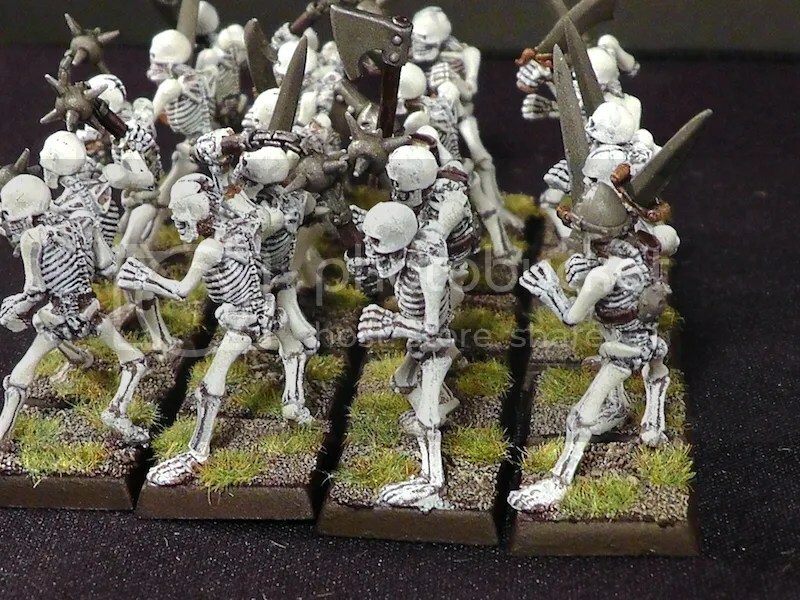 Another block of 20 skeletons, featuring the musician. The last block will be done very soon. 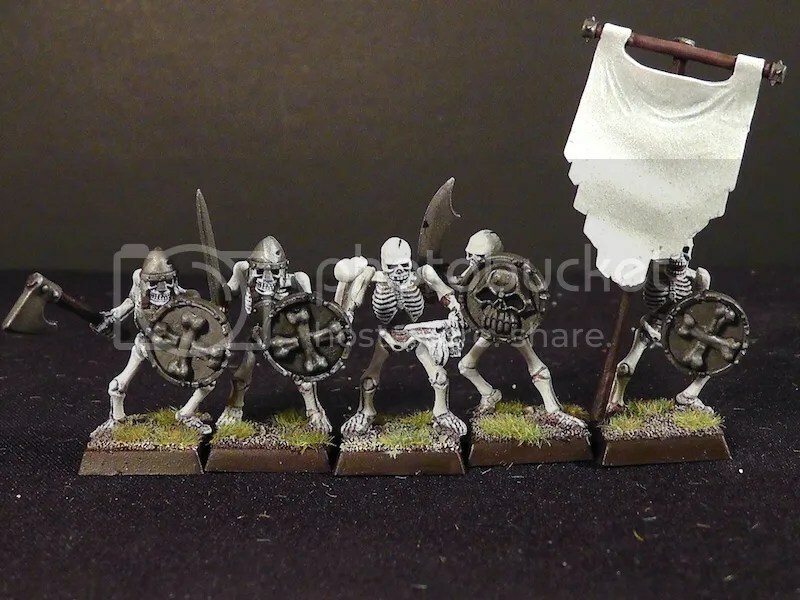 I have now fully moved onto painting the skeletons. 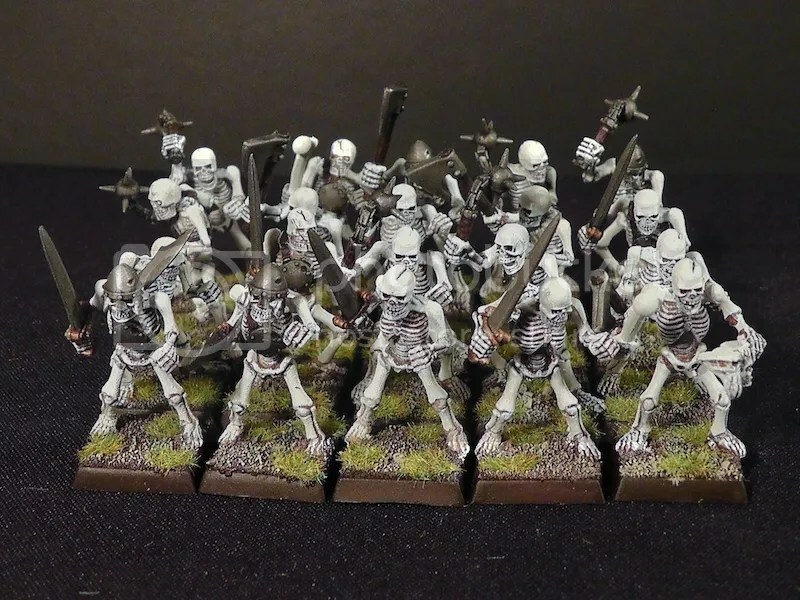 They are to be one unit of sixty. 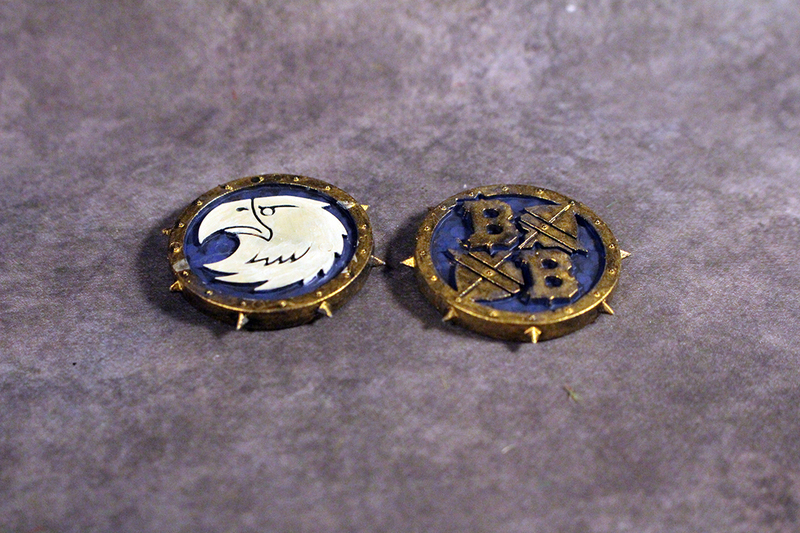 The first batch of 20 is complete. 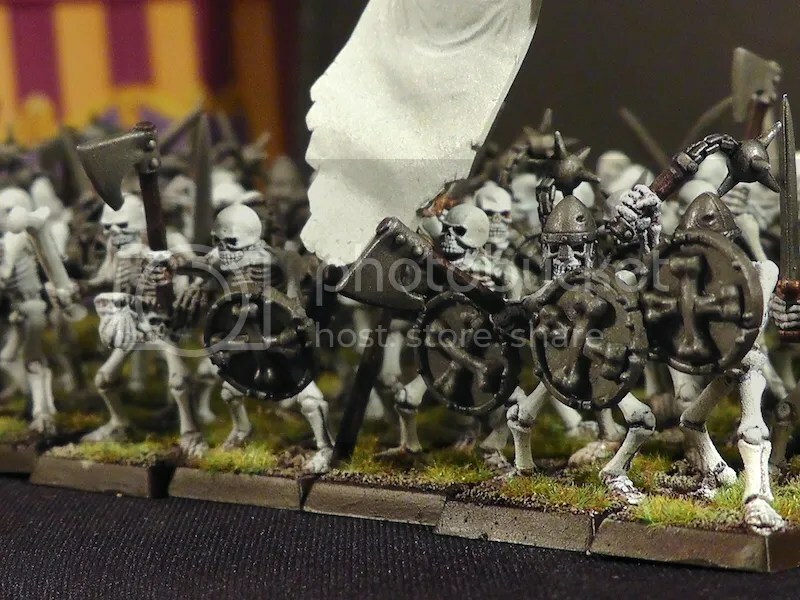 These are painted very simple, white skeletons (with a bit of inking) and picked out weapons.